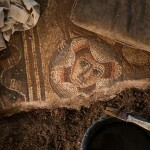 Alexander the Great's grave found? 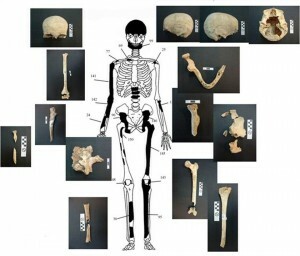 Greek archaeologists have discovered the bones of at least five people in the limestone grave at the massive Alexander the Great-era burial mound complex at Kasta Hill, Serres. Analysis of the bones found in the grave show that they belong to a woman, a baby, two men and an adult person who was cremated prior to the death of the other four people. 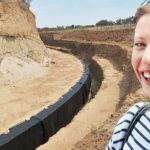 The Amphipolis tomb complex dates back to 320-300 BCE and it took two years for archaeologists to locate the entrance before it was officially announced by the Greek government in August 2014. Although there has been much speculation that the tomb could belong to Alexander the Great, his mother Olympias, or his wife Roxana, current bets are on the general Laomedon, who was a friend of Alexander. Since then, news of tomb findings has been fast-flowing and has included the discovery of headless sphinxes, exquisitely carved caryatid statues and a classical mosaic floor featuring Persephone being abducted by Pluto in the presence of Hermes. 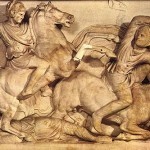 Amphipolis has been likened by the Greek media and critics of Greek Prime Minister Antonis Samaras to be an “archaeological Disneyland” aiming to distract the people from the political troubles facing the rather shaky new coalition government. Could this be a family tomb? 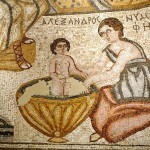 The Greek Ministry of Culture announced on Monday (19 January) that the bones in the grave belonged to at least five people, including a woman aged approximately 60, a newborn baby, two men aged between 30-45, and a cremated person, whose remains will require further testing to reveal their gender. The woman was about 1.57m tall, while the men were about 1.62-1.68m tall, and one of the men had cut marks on the left side of his chest that most likely were fatal injuries caused by a small sword or knife. Both men are believed to have suffered from osteoarthritis and spondylitis (arthritis in the back) and one of the men had once broken his wrist, as a healed fracture was detected. The archaeologists say that it is clear that the first owner of the tomb was the person who was cremated, as the ancient Greeks stopped cremating their dead in third century AD. Upcoming tests will include DNA tests to discover whether the deceased are related, as well as to discover whether the people were native to Amphipolis or moved to the area in their lives from somewhere else. 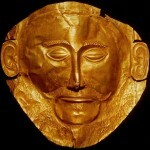 The research is being conducted by postdoctorate, graduate and undergraduate students from Aristotle University of Thessaloniki and Democritus University of Thrace, led by Sevasti Triantafyllou, an assistant professor in Prehistoric Archaeology and Osteoarchaeology from Aristotle and Christina Papageorgopoulou, assistant professor of physical anthropology at Democritus. We highly recommend this amazing novel, by the legendary greek author, Nikos Kazantzakis. Dorothy King about Macedonia – Macedonia is Greek! Mosaic of Alexander the Great meeting a Jewish priest – the first ever non-biblical scene to be discovered inside a synagogue. Powered by Lizzard Active Media Preus Theme by InkHive.